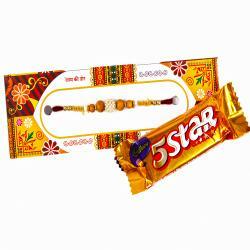 Pyramid Chocolate Bar (Weight : 28 Gms) and Rakhi thread comes with stylish beads strings with diamond ball and stone rings along with Packet of Roli Chawal. 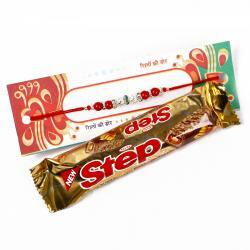 You will love this gift pack includes special rakhi that you need to surprise your darling brother on the auspicious occasion. 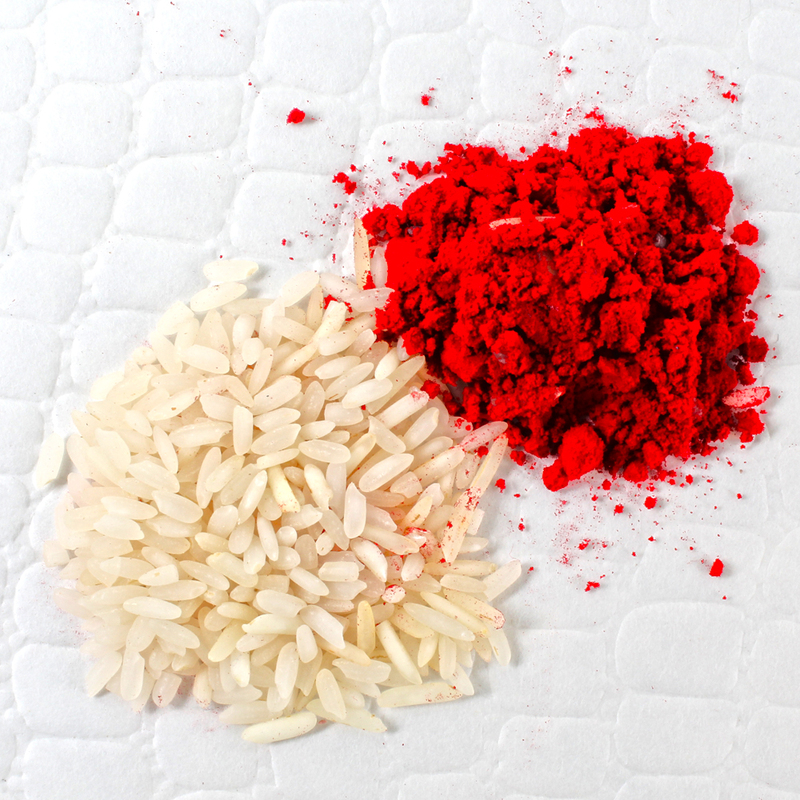 Raksha Bandhan is the best festival where all sisters contrive to send their brothers tokens of their love and affection. Rakhi comes in unique style of beads strings with diamond ball and stone rings for your brothers adorned sure. 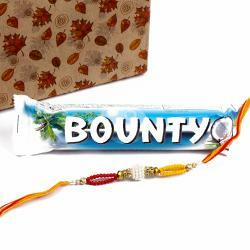 So make your brothers feel special by sending them this precious rakhi. 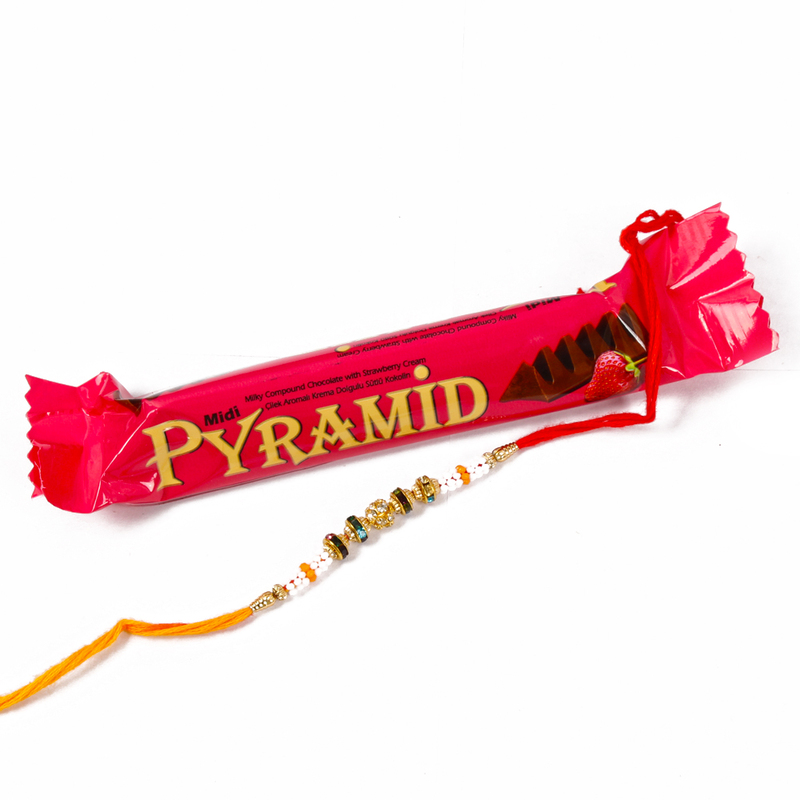 Product Includes : Pyramid Chocolate Bar (Weight : 28 Gms), Rakhi thread comes with stylish beads strings with diamond ball and stone rings and Packet of Roli.